My name is Zachary Compton and I first visited Northrise University in 2010. During my trip I caught a glimpse of the Zimba’s dream and vision for the future of Northrise and its potential impact on the nation of Zambia. 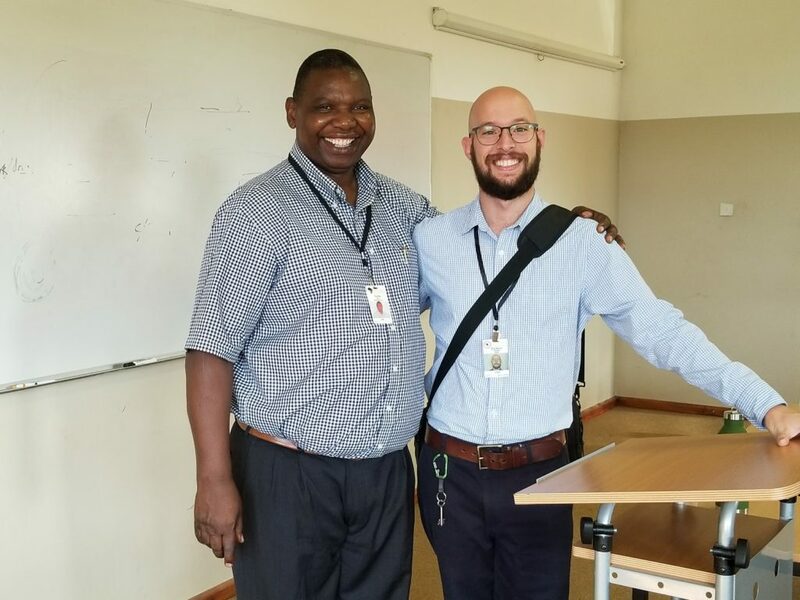 Years later, after completing my Masters of Education degree from California Baptist University and serving in school districts in San Diego, Sweetwater, and Coronado counties, I remembered my visit to Zambia and was reminded of what God was doing through Northrise University. It was through reconnecting with Dr. Zimba, in July 2017, that he shared an opening at Northrise for someone with my qualifications. On January 27th 2018, after my application and work visa approval, I arrived at Northrise ready to begin a new journey. At Northrise it has been my privilege and joy to work in the Department of Business as a Lecturer, teaching communication skills and university studies, as well as, serving as Examinations Manager of the university. In these positions I have been able to teach and continue learning practical education skills in a higher education environment. While preparing students for their time at NU I have found my own worldview and thoughts transformed. I have new understandings of what is truly important and the things that have no real value. In my dialogues with the students I have witnessed the desire for education as a facilitator of change and a way to make dreams come true. I have also been blessed to see the students’ creativity and desire to change the world in which they live. Serving with and getting to know the faculty and staff has been a blessing as well. In each department you can see the desire for personal growth and helping others achieve their dreams. The vision of Northrise drives their actions and desire to help students to “Be Excellent, At What Is Good”.